What's all that hype about essential oils and crystals lately?? Well, let me tell you. First, essential oils are like pure drops of gold and crystals are beautiful, magical rocks that will "rock" your energetic fields and atmosphere around you in the most amazing ways. 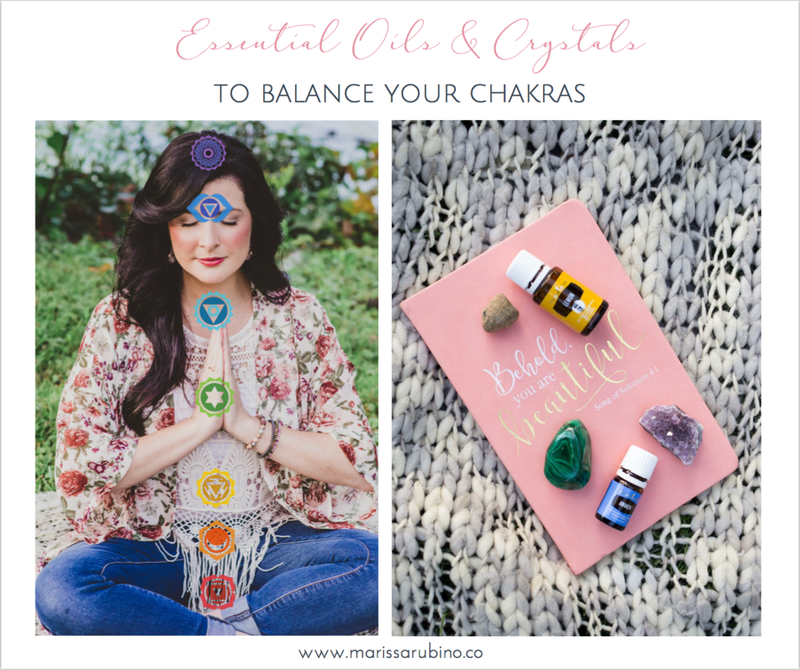 My first step into holistic practices were with essential oils and crystals, so this is one of my favorite things to chat about, along with chakras of course! So how do all three go hand and hand you may ask...? Do you like blissful aromas? Gazing over enchanting objects? Feeling your energy calm, balanced and present? If you answered yes, yes and yes then you'll love what's in store for you! If you know or don't know, chakras are energy centers in your body that help you channel more confidence, creativity, and joy in your life. Chakras are also identified as part of your subtle body that you can't see or touch, but it's where your energy flows. When energy becomes blocked in a chakra, it can trigger physical, mental, or emotional imbalances that manifest into many different symptoms such as: lethargy, poor digestion, anxiety or low self-esteem to name a few. With just a little bit of coaching on your own you can begin to tap into your energy centers and shift your energy into the direction you want to go. So, let's start with essential oils and crystals to begin balancing your chakras. Each chakra has an essential oil and crystal that connects with it to help balance and align that specific chakra. You can diffuse it or apply the essential oil to you if the essential oil is 100% Therapeutic Grade EO. Be sure to use a base carrier such as, coconut oil or jojoba oil with the essential oil if you are applying it directly to your skin. For crystals you can hold them, wear them or place it near you throughout your day or as you sleep. Which essential oils and crystals do you use for each chakra? Here's a simple chart to help you.